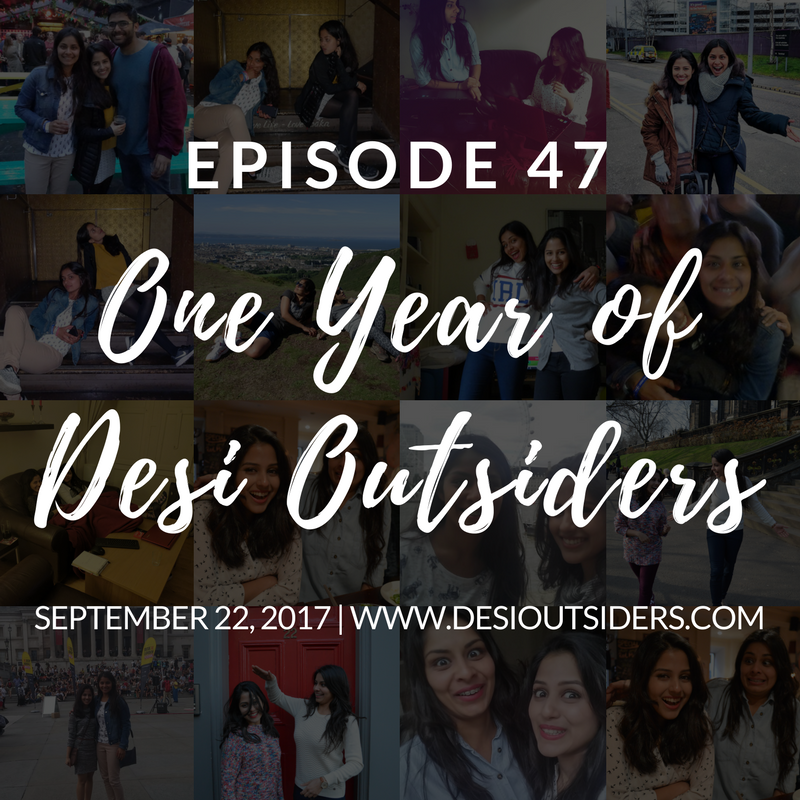 Somehow, one year ago today, we convinced you to replace your Sai Baba bhajans and Niki Minaj playlists with our podcast episodes. We really wish we could invite you to Desi Outsiders with chai and samosas this fine morning, but Ankita can’t cook, and Meenal doesn’t share food. So instead, we put together a very special season finale where we share the snippets of the good, the bad, and the ugly of our journey so far. We bring you cringe worthy clips from previous episodes and tell you how we started out initially as a two-member team before Shane got involved in this project. We’ve come a long way together since then and can’t wait to see what Year Two has in store for us. As always, thanks a ton for tuning in every week. We couldn’t do this without you.